If you are ready for that next great truck, look no further than the 2018 Chevrolet Silverado 1500 LT Z71. This truck is both beautiful to look at and well-equipped to handle the tough days and long nights. And when you shop with Ressler Motors, you can rest assured you are getting a great deal and top-notch service. 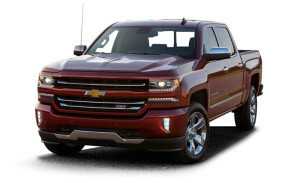 Start your search for an LT Z71 today with Ressler Motors. The 2018 Chevrolet Silverado 1500 LT Z71 naturally includes the Z71 Appearance package, but the real fun is the Z71 Off-Road package. With stellar shocks and suspension, your truck will be ready for the rough roads, while you stay comfortable in the quiet cabin. It won’t take long before you get out for some fun in the LT Z71. The LT Z71 features a design that can be subtle and sporty. With a unique gauge cluster, you can easily stay up-to-date on vehicle performance. And the color carries through the whole exterior, including grill, bumpers, and door handles, for a sleek and smooth look. There’s a lot to see in the LT Z71, and it all looks good from here. Nothing says more about your truck than the exterior color, and Chevy has great ones to choose from for the 2018 Chevrolet Silverado 1500 LT Z71. The palette includes Deep Ocean Blue Metallic, Graphite Metallic, and Summer White, to name a few. Pick yours from these or those listed below and get ready for a beautiful paint job.